Bleached and destroyed jeans. Ready to ship. 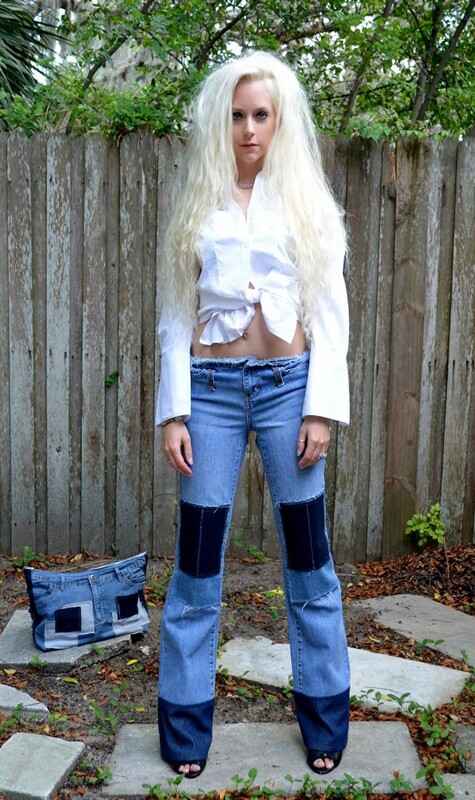 Grosgrain ribbon tuxedo jeans. Ready to ship. 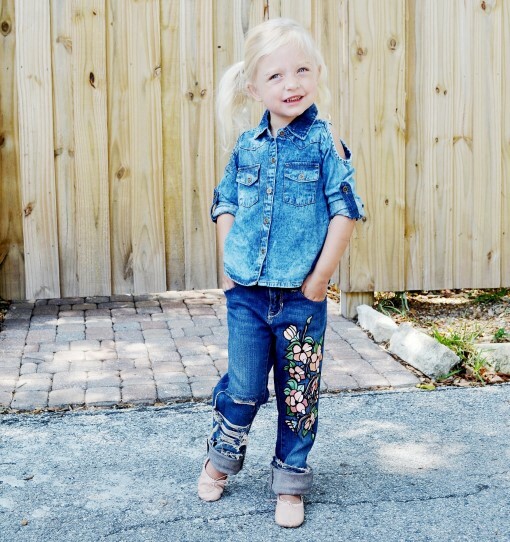 Denim on Denim jeans. Ready to ship. Vintage floral jeans. Hand painted. Ready to ship. Bold stripe skinnies. Ready to ship. High waisted. 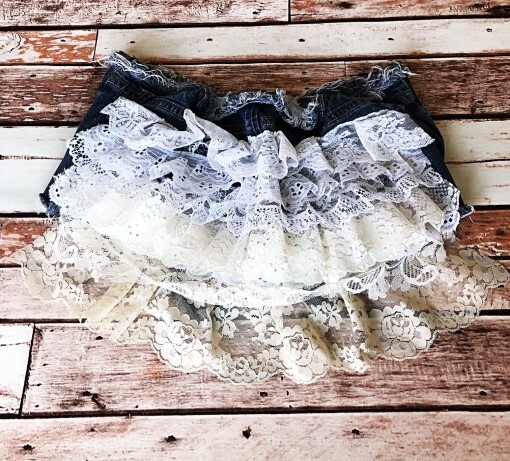 Ruffle denim shorts in white/antique. Ready to ship. Lace. 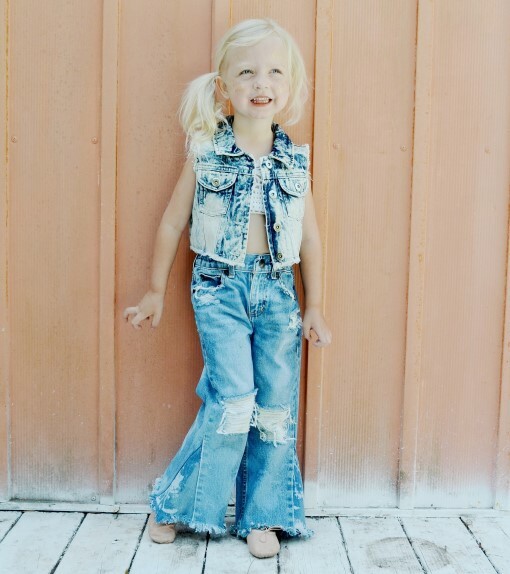 Destroyed high/low ruffle jeans. Ready to ship. 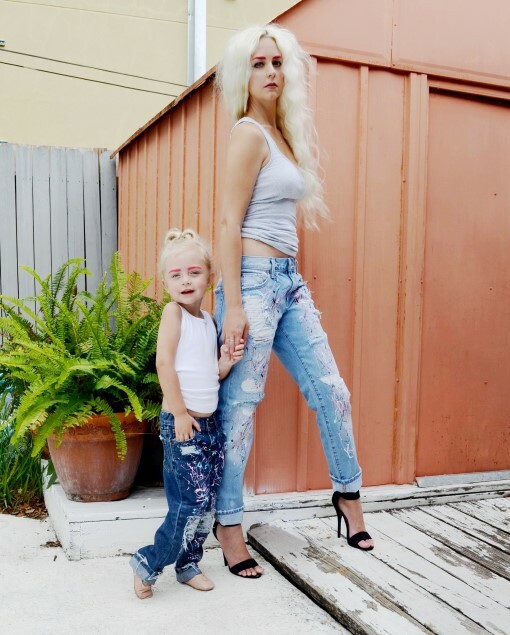 Girls floral painted jeans. Ready to ship. Wide stripe skinnies. Ready to ship. Deconstructed jeans. Light denim. Ready to ship. 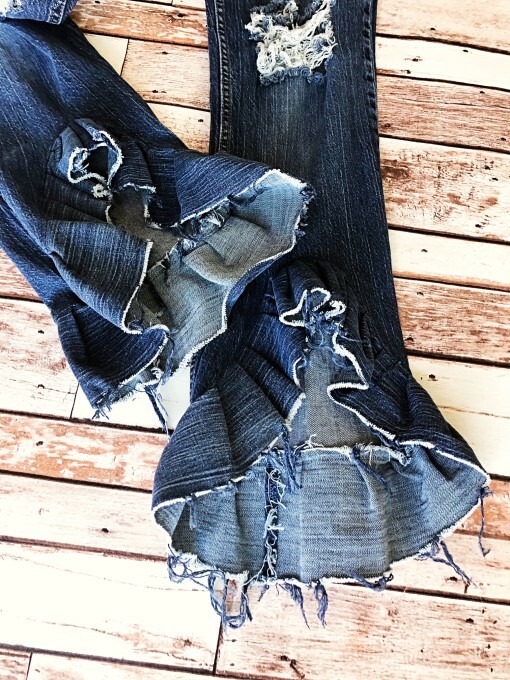 Deconstructed jeans. Dark denim. Ready to ship. 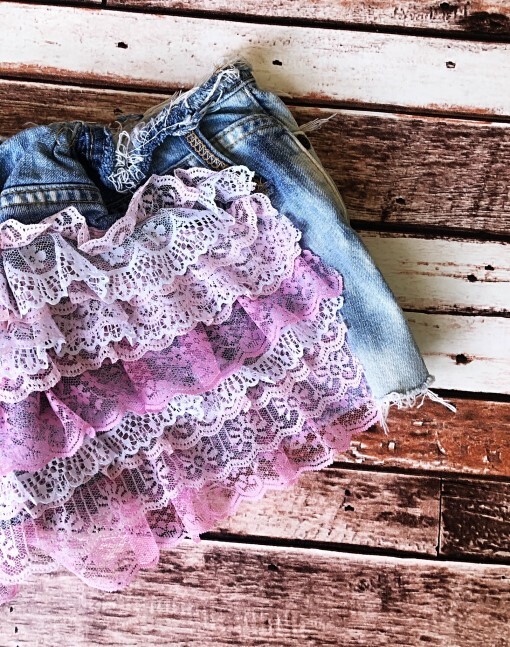 Destroyed high/low ruffle jeans. Custom. Vintage sheer wide bell jeans. High waist. Ready to ship. Over sized knit sweater. Ready to ship. Girls destroyed bells. Custom bell bottom jeans. Girls boyfriend jeans. Splattered painted. Custom. Peek a boo flares. Custom.